With all of the information circling around online about candida, you may have been left wondering if you are suffering with this condition. It seems like with the amount of attention it is getting, everyone has it. But what exactly is it, and how many people are really suffering with it? We know that the human body can be affected by lifestyle, environmental factors, and genetic variations. Just imagine if you doctor could run a simple test to find out exactly how these stressors are affecting your overall health. Many people don’t realize that there is a connection between their oral health and their overall health. Poor oral health contributes to poor total body health and has even been called a cause for heart disease, diabetes, and even cancer. Essential oils have been used for thousands of years throughout history and in many cultures for their medicinal and therapeutic benefits. They are currently gaining popularity partially due to the the high cost of healthcare and the side effects of conventional medications. 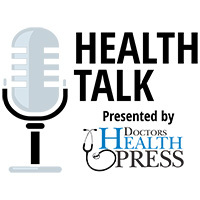 Episode 008: Could Your Breast Implants Be The Cause Of Your Health Problems? – Speaking with Dr. Susse D.C.
Dr. Kayte Susse began her medical career after suffering from a mysterious illness just 9 months after getting silicone breast implants. Today she is a strong advocate of breast implant illness education and recovery. Have you heard about the amazing powers of stem cell therapy? Dr. Timmermans joins us to explain what stem cells are, and how they can help you. If you suffer from osteoarthritis, chronic knee pain, back pain or injury, this is the podcast that could offer you an alternative for pain relief. RBTI first exposes your unique biochemical individuality, and then reveals the specific changes and alterations in diet and lifestyle practices necessary to bring on real health, wellness and longevity. If your body is out of balance, it will show in RBTI testing. Many people who suffer from aches, soreness or pain in body are not aware that it can be linked to inflammation and acidity in the body. According to the World Health Organization, homeopathy is the second largest and fastest growing medicine in the world. Homeopathy, or Homeopathic Medicine, is the practice of medicine that embraces a holistic, natural approach to the treatment of the sick. Homeopathy is holistic because it treats the person as a whole, rather than focusing on a diseased part or a labeled sickness. It is scary to think that our personal care and beauty products could be at the root of our illness or disease. We all tend to put trust into the FDA to regulate what goes into our products, but you would be appalled if you knew what was allowed in our shampoo, makeup and deodorants. There are thousands of chemicals found in our products, many of which can be absorbed by the body. People in the United States are sicker than ever today, in spite of us having some of the best healthcare in the world. Many people are being diagnosed with chronic disease, and doctors seem to be treating only the disease itself, rather than dealing with the root of the problem. In the episode, James will share his philosophy on how conventional doctors only focus on “disease care,” instead of focusing on a “health care model,” which can help prevent disease.